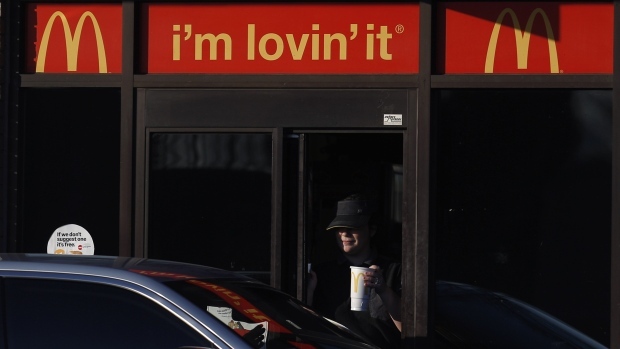 McDonald’s Corp., in a reversal of company policy, said it no longer will lobby against minimum-pay hikes in the U.S.
McDonald’s restaurants employ more than 800,000 people domestically -- many of whom work for franchised locations that are independently owned and operated. At the company’s stores, the average starting pay is more than US$10 an hour, McDonald’s said. The federal minimum wage stands at US$7.25 an hour and hasn’t increased since 2009. Still, required pay increases have taken hold in states across the country lately, with many moving to bump minimum wage to US$15 an hour. The changes have been helped along by union-backed protests aimed especially at the fast-food industry and McDonald’s. Politico earlier reported on McDonald’s letter.